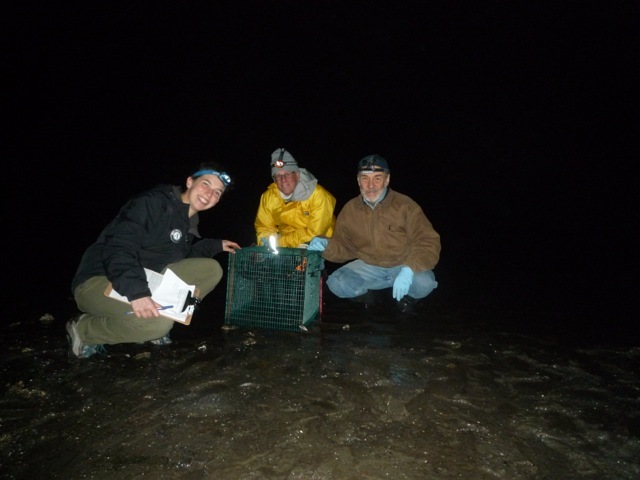 Jennifer Lanksbury, Fish and Wildlife Biologist, at Penn Cove Shellfish with our supplies ready for pick-up. 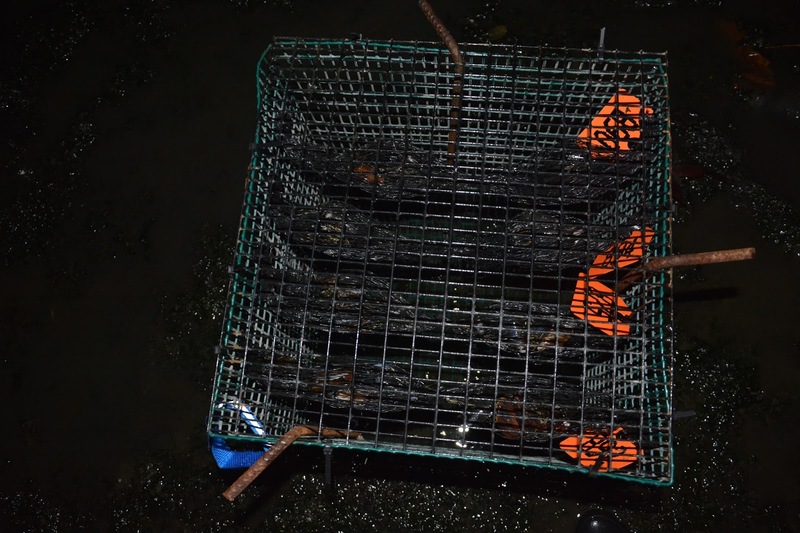 The mussels were kept on ice in cooler bags until deployment. 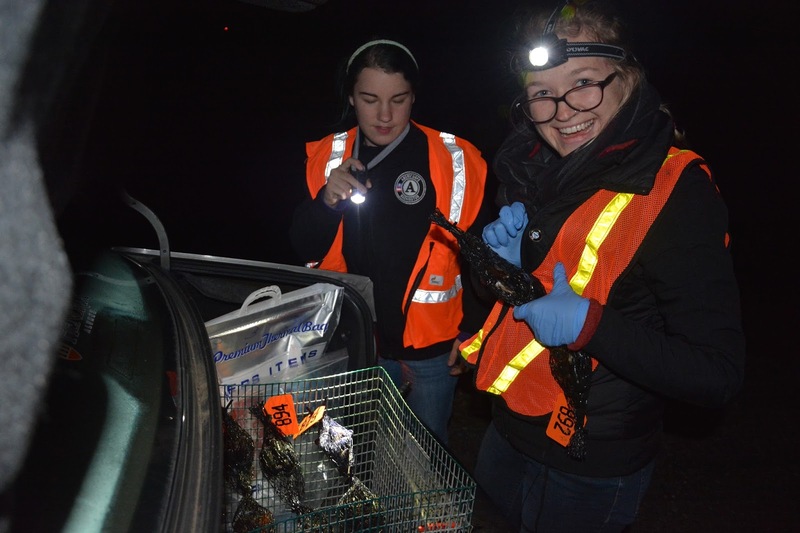 Carolyn, left, and Zofia, right, assemble the mussel cage at Port Hadlock. 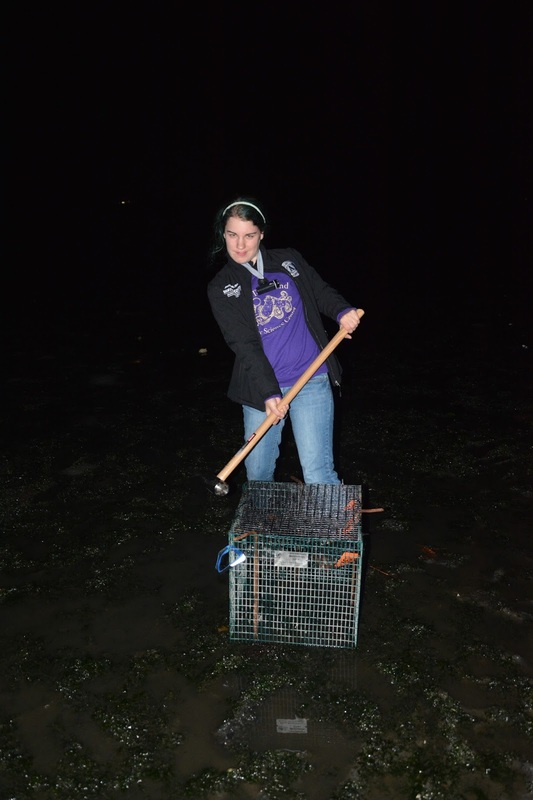 Carolyn Thor, deploying her mussels muscles! Team Irondale, Rebecca, Darryl, and Dave, proved to be rebar-pounding champions. Cage in place — we'll see it again in February!